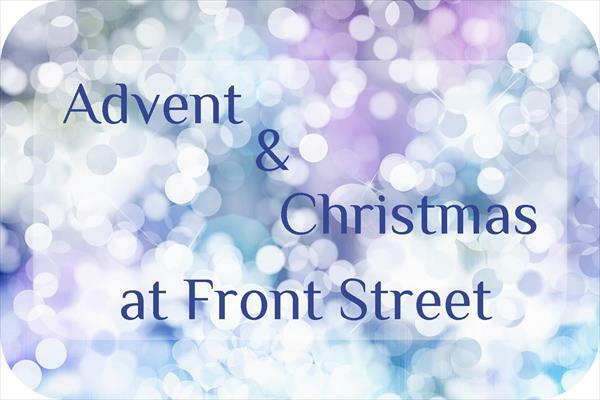 Sign up to receive a daily Advent devotion from FSUMC in your inbox. "A Festival of Nine Lessons and Carols"
Our Sister’s House has women and children residing there over the holidays. Help make Christmas special for them by taking an ornament and returning the item listed on the reverse. Let’s bring some hope to our neighbors who need our help the most. Let’s continue to remember and support those rebuilding their lives in eastern NC after Hurricane Florence. Ornaments on this tree list one or more items included in a flood/cleaning bucket. Take an ornament from the tree and return the item(s) listed on the reserve side. The Missions Team will assemble full Flood Buckets with these donations. Place toboggans, gloves or mittens for infants, children, and youth on or under this tree. These will be made available next summer to those of you who are packing AGAPE Christmas boxes for our brothers and sisters in Armenia, and these items are almost impossible to find. Monetary donations are always welcome for all these ministries. Make checks payable to FSUMC with “Trees of Love” in the memo-line. Questions? Please contact the church office. Beginning December 2, volunteers are needed to deliver gifts to children of parents who are incarcerated. Printed directions will be provided with each bag of gifts. Please email Margaret_blackwell@yahoo.com or call 227.6263 for details. Thank you for your help in making Christmas special for these families.